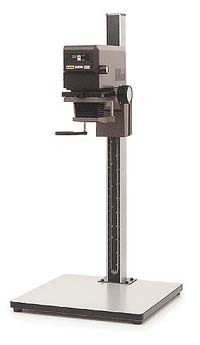 The LPL 6700 VCCE enlarger provides an excellent combination of quality, convenience and economy. It combines the convenience of a VCCE (Variable Contrast, Constant Exposure) lamphouse - you merely dial in the desired contrast grade, while exposure settings remain the same - with the compact, sturdy, and economical LPL 6600/6700 enlarger chassis, which handles negative formats up to 6x7cm. For more information on the LPL VC6700 VCCE enlarger and accessories, please refer to our LPL Enlarger Guide.